Normal tension glaucoma (or NTG), also called low tension or normal pressure glaucoma is a condition in which optic nerve damage and vision loss occur without an abnormal rise in intraocular pressure (IOP). In normal-tension glaucoma, people have IOP within the normal range (10-21 mmHg). Note: Many with NTG in the FitEyes eye pressure self-monitoring community have found their pressures go higher than 21 even though they have not had higher than the normal ranges during office hour visits to their doctors. By definition, people with normal-tension glaucoma have open, normal-appearing angles. In fact, the features of normal-tension glaucoma are similar to primary open angle glaucoma (POAG), the most common form of glaucoma. Although, the source of optic nerve damage in this disease is largely unknown, vascular and mechanical factors have been implicated. Normal tension glaucoma is generally believed to occur either because of an unusually fragile optic nerve which can be damaged despite normal pressure inside the eye, or reduced blood flow to the optic nerve. While a fragile optic nerve may be inherited, reduced blood flow to the optic nerve can be due to disorders of the blood vessels (called vascular diseases), including vasospasms (constrictions of the blood vessels) and ischemia (reduced oxygen delivered to the tissue. 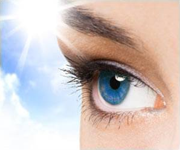 In this case the optic nerve, because the blood vessels are either narrowed or obstructed). Other factors have been studied such as low cerebral spinal fluid pressure (CSFP). It is believed that low CSFP causes a pressure gradient difference between the front part of the eye (IOP) and the posterior structures such as the choroid. Surrounding structures therefore become negatively affected. Interestingly, many with NTG have low body mass index (BMI). Low BMI is believed to correlate with low CSFP. An additional factor in women is research showing a lower risk factor of NTG in women with a higher weight. Estrogen release from fatty tissue implicate an additional factor, as the risk of NTG increases in post menopausal women. Although there are other systemic factors of interest in the etiology of NTG, the current diagnosis only distinguishes it from POAG by the appearance of normal IOP. For an in depth discussion of the tests associated with glaucoma diagnosis, please see Understanding Your Test Results. Primary Open-Angle Glaucoma vs Normal-Tension Glaucoma: The Vascular Perspective.